There are no photos with those IDs or post 1309 does not have any attached images! Board Grade – Typically measured in pounds per inch and referred to as “Edge Crush Test” (ECT), this variation indicates the thickness of your board. Artwork – The S. W. Betz Company can take your existing artwork and print it on as many panels as are provided on the box or we can work with you on coming up with a design. Joint (How is the box held together) – Most corrugated boxes are held together with glue, but some are held together with tape or are stitched together. The S. W. Betz Company represents many of the top manufacturers of corrugated boxes in the country and many that are located in the Mid-Atlantic region. If you are in need of or would like more information on any of our corrugated boxes, please contact us and one of our team members will be happy to assist you. 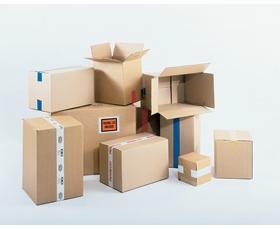 For more information about Corrugated Shipping Boxes or any other product or service from S.W. Betz, fill out and submit the form to the right.